WASHINGTON, June 26, 2017 - Among rural Americans, 39 percent lack access to high speed internet compared to only 4 percent of urban Americans who lack access, said Rep. Rod Blum, R-Iowa, at a hearing Thursday on Capitol Hill. He said more needs to be done to get rural Americans service on par with urban Americans. 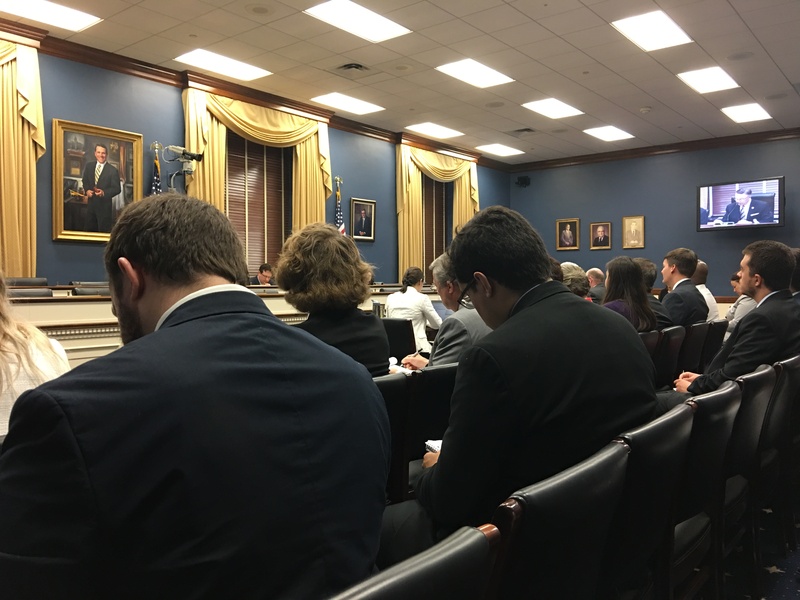 The hearing was called “Improving Broadband Deployment: Solutions for Rural America” and was hosted by Agriculture, Energy and Trade Subcommittee of the House Small Business Committee. Rep. Brad Schneider, D-Illinois, said that the internet created 10.4 million jobs across the United States in last year alone, but the U.S. is ranked at number 16 in the world for broadband access. He said 34 million Americans still lack access to high speed internet, and the hearing was held to see how Congress can improve broadband adoption. Mike Romano, senior vice president of industry affairs and business development at NTCA, the Rural Broadband Association, said the business of rural broadband is unfortunately not a money-making endeavor. He called the Universal Service Fund the best example of a public-private partnership in broadband but said it has also been inefficient, with a flat budget since 2011. Dave Osborn, chief executive officer of VTX1, said the Federal Communications Commission gives an outdated budget and basically tells providers to do what they can with it. He said the FCC keeps increasing reporting obligations and burdens. He cited a Federal Trade Commission report that, on average, 3,200 hours are spent completing federal reporting requirements for USF, at an average cost of $100,000. Osborn also said that it was important to upgrade networks to fiber because fiber has a longer service life than copper. Tim Donovan, senior vice president of legislative affairs for the Competitive Carriers Association, said a persistent digital divide still affects certain rural areas, which are trailing urban areas going forward to 5G. Donovan said better data is needed because the current data is not useful to determine where coverage gaps are, and he said that Congress, carriers and the FCC know this. He added that small businesses in rural America can no longer afford to be behind in the next shift forward. Chris Allendorf, vice president of external relations and general counsel for Jo-Carroll Energy, said in the areas fiber is in, businesses have seen an increase in sales. “For rural residents, high speed broadband is not just about past times like Netflix, but more importantly, it’s about a chance at a better living,” Allendorf said. He said greater broadband in rural areas results in higher income and lower unemployment and has become a necessity. He said he hopes Congress will help provide broadband service for people in rural areas. Donovan said it is important to have a baseline of 4G now while 5G is still being created, and in some rural areas, 2G networks are still being used. He said Congress needs to make sure rural America keeps up. Schneider said that in a time of great division in the country, broadband can help unite everyone and help the nation lead the world.